Universal has given us no special features to speak of, not even a trailer for the film. In fact, there is no menu either. The film starts up after the FBI warnings, and if you press any of the menu buttons; you are greeted with an option to turn the subtitles on or off. Seeing as this is a budget title, I can see why they didn’t go to any expense for features. Even though they didn’t give us any features, Universal has given us the film’s theatrical poster as the cover to this blu-ray release. We see the Hindenburg crashing while engulfed in flames, people on the ground running for their lives. The back cover shows some more of the crash in color, even though the film crash is in black and white. There are a few more pictures from the film, the poster credits, and the technical information. Universal obviously did not care about this release at all given that the picture quality here is not very good. You can tell that this is an old transfer. There is not that much in the way of detail, not even in the close-ups. Colors are faded and the black and white scenes at the end are washed out. I was hoping that the film would have looked good, due to Robert Wise being the director, but that just isn’t the case. Most of the film takes place in some of the drabbest areas I have ever seen in a film. I have seen films that take place in smaller areas look better. This is a pretty dull transfer. For the most part the sound is good. Not great, but good. Dialogue is heard clearly and the ambient sounds are nicely handled. Then there are the scenes that take place inside of the blimp part. Most of these scenes have dialogue that is almost unintelligible. You can barely hear what the characters are saying because the sounds of the motors overtake the dialogue. Sure, there are times when you can hear the characters just fine, but that is when the plot points are being told. Any other time you hear more of the engines than the characters. I am not sure if this is how it was when the film was released or if this is a goof on the part of Universal, but it is ridiculous that a film like this would have poor sound. Like I said, not all of the dialogue is like this, with most of it being heard just fine. I was really excited when I found out that Wal-Mart was going to be carrying The Hindenburg, on blu-ray, as an exclusive. I went to my local Wal-Mart and picked up a copy the day it came out. I then sat on it for weeks. I wanted to watch the film, but I had heard that the film is pretty bad. Today is the day that I finally watched the film and what I heard was correct: The Hindenburg is one of the worst disaster films I have ever seen. The fact that this can be considered a disaster film has to be some kind of joke. That is like calling a film a martial arts film because someone got kicked in the face at some point in the film. again because most of the footage of disaster is from the real newsreel footage taken the day of. I got to the movies to see something that new and The Hindenburg had to have made people think that they were getting ripped off. The film stars George C. Scott as a German colonel who has been tasked by the German government to make sure that there is no sabotage while the Hindenburg flies over the Atlantic. From there we have an eccentric group of people who will be either annoying us until the film is over or boring us to sleep with the same destination. We have Anne Bancroft as a German countess who hams it up throughout the entire film. We have William Atherton, the EPA guy from Ghostbusters (1984), as a shady fellow, Burgess Meredith as a card shark and a cheat, Charles Durning, as the captain. Mona, from Who’s the Boss, also makes an appearance. The film is 2 hours and five minutes and for 1 hour and 55 minutes these characters annoy the crap out of us with their inane conversations about nothing. George C. Scott spends most of the film walking around, looking for something to do. He gets notes passed to him, but nothing that happens in the film is of any consequence. This is not how a disaster film is supposed to go. The disaster part is supposed to come with in the first half hour of the film. That is, unless you are a filmmaker trying to make a disaster film now, where the disaster part comes half an hour into a two and a half hour film. At least the filmmakers now have a disaster in their disaster film. The film was directed by Robert Wise, who has given us some many great films like The Day the Earth Stood Still (1951), West Side Story, The Sound of Music, and The Haunting (1960). I guess that every director has a turd in them. It is a shame too because this film could have been better. 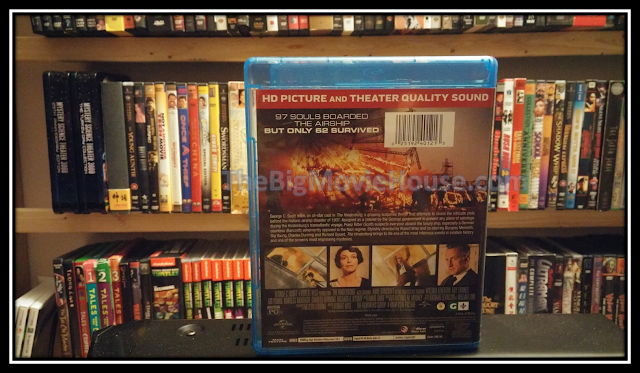 The film could have been an investigative film about investigators trying to find out what happened with their findings shown at the end of the film during the disaster part. The film would have been a disaster film so much as it could have been a thriller or even a drama about the families who died in the crash. One thing that did make me laugh, outside of the overacting and pure stupidity of the whole thing, happens at the end of the film. A narrator is giving us a glimpse at who died and who survived out of the main cast. Pictures of the people are shown on screen with the narrator saying whether they are DEAD or SURVIVED. The last picture that comes up is of a dog. This dog was talked about a lot throughout the film and we saw it a few times. What made me laugh, other than them including a picture of the dog as one of the survivors, was a thought I had: Where did they get a picture of this dog? 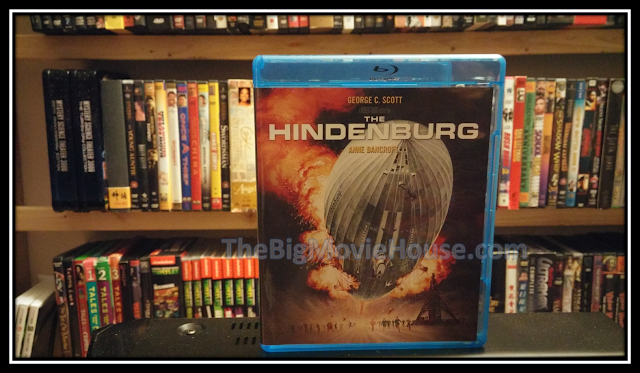 The Hindenburg is a disaster film made by people who haven’t seen a disaster film before. The film would have been fine if we were given good characters, but we are not. We are given actors saying lines and nothing really happening until the last five minutes of the film. 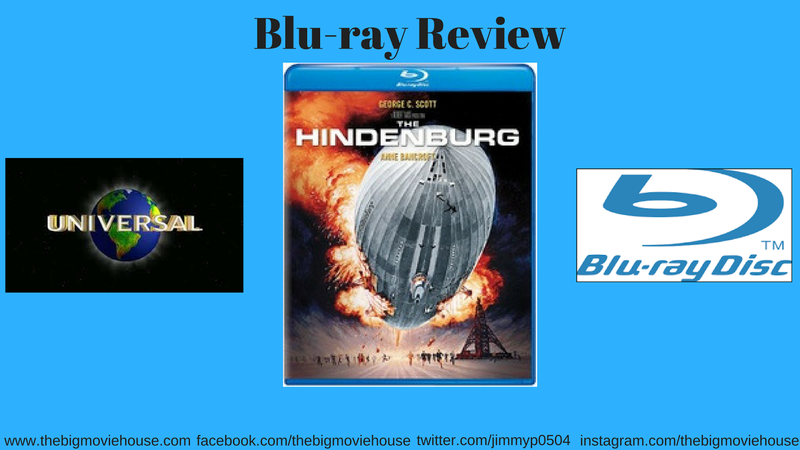 The Hindenburg is a disaster film without much of a disaster. There is no reason to buy this blu-ray unless you are a fan of the film. The film is lame and stupid, with some of the worst filmmaking I have seen from a seasoned vet. The picture and sound quality are pretty bad and there are no features to speak of. I would not recommend this blu-ray to anyone.